He cleverly created the Cosmic Key… and inadvertently aided the enemies of Eternia! This time-traveling Thenurian is based on the character from the 1987 movie. 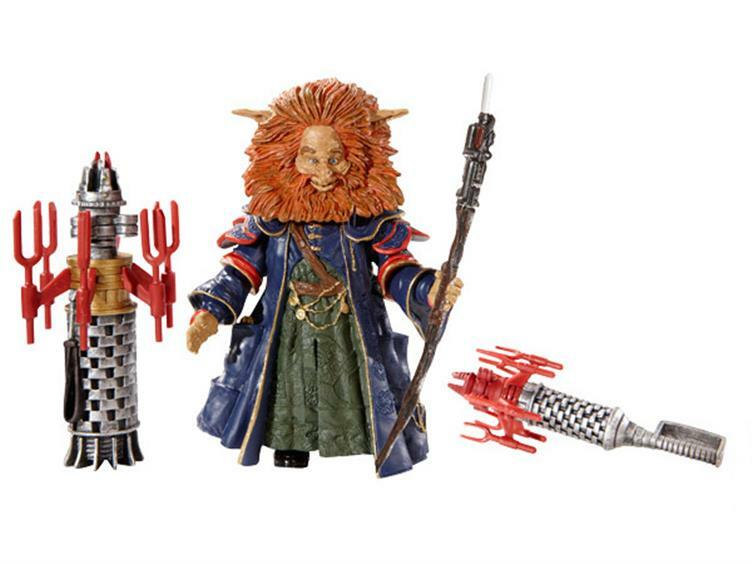 Good-hearted Gwildor transports himself into the MOTUC lineup with his walking staff and two cosmic keys, one in the vintage toy colors and the other based on the movie. A Vejulian Gwitthrol Troll from Tundaria, Gwildor stood out in his clan for his great intellect and curiosity. Sent to study in Eternos, he attended Grimhammer University and studied under many great Eternian inventors, archeologists and magicians. Settling in a small village near Pelleezeea, Gwildor lived a solitary life until he created his greatest invention, the Cosmic Key, a device that could harness Universal Energy to open portals in space. Combined with the Magic of Central Tower, the Key could also be used to move through time itself. 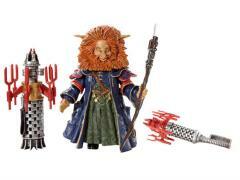 Hunted for his creation, Gwildor was forced to activate the cosmic key to escape to Earth! Eventually faking his own death, he traveled forward in time to a period when Temporal Travel was protected by powerful agents and his life would no longer be in constant danger.